Google Play ratings and reviews are extremely important in helping users decide which apps to install. Unfortunately, fake and misleading reviews can undermine users' trust in those ratings. User trust is a top priority for us at Google Play, and we are continuously working to make sure that the ratings and reviews shown in our store are not being manipulated. Bad content: Reviews that are profane, hateful, or off-topic. Fake ratings: Ratings and reviews meant to manipulate an app's average rating or top reviews. We've seen different approaches to manipulate the average rating; from 5-star attacks to positively boost an app's average rating, to 1-star attacks to influence it negatively. Incentivized ratings: Ratings and reviews given by real humans in exchange for money or valuable items. When we see these, we take action on the app itself, as well as the review or rating in question. In 2018, the Google Play Trust & Safety teams deployed a system that combines human intelligence with machine learning to detect and enforce policy violations in ratings and reviews. 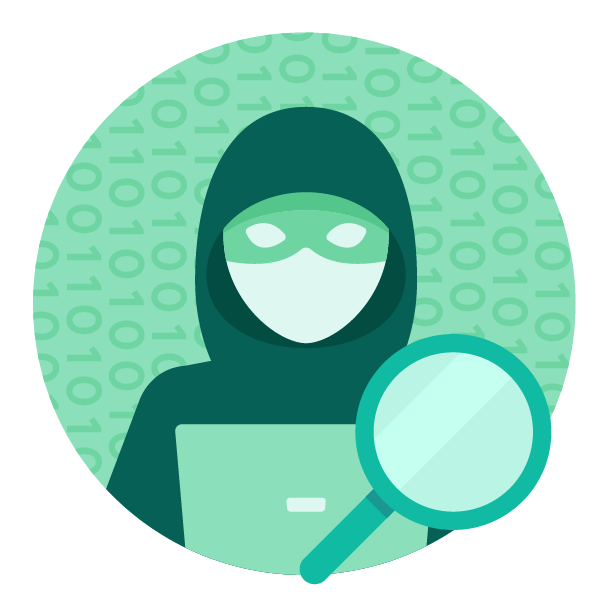 A team of engineers and analysts closely monitor and study suspicious activities in Play's ratings and reviews, and improve the model's precision and recall on a regular basis. We also regularly ask skilled reviewers to check the decisions made by our models for quality assurance. Millions of reviews and ratings detected and removed from the Play Store. Thousands of bad apps identified due to suspicious reviews and rating activities on them. 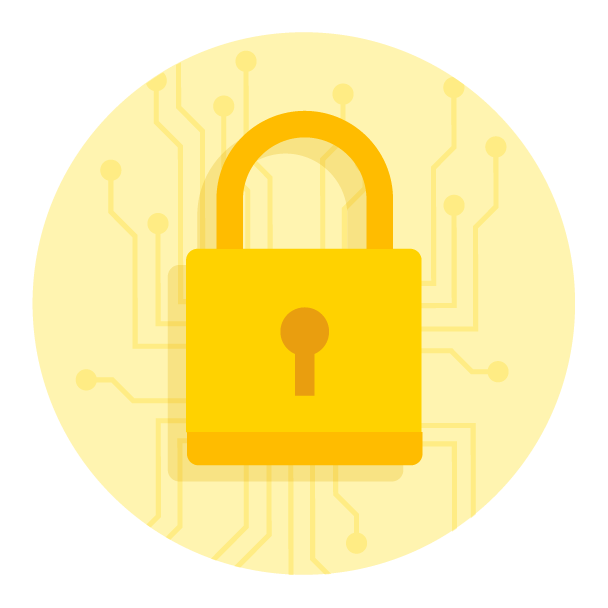 Our team can do a lot, but we need your help to keep Google Play a safe and trusted place for apps and games. Don't buy fake or incentivized ratings. Don't run campaigns, in-app or otherwise, like "Give us 5 stars and we'll give you this in-app item!" That counts as incentivized ratings, and it's prohibited by policy. Do read the Google Play Developer Policy to make sure you are not inadvertently making violations. Don't accept or receive money or goods (even virtual ones) in exchange for reviews and ratings. Don't use profanity to criticize an app or game; keep your feedback constructive. Don't post gibberish, hateful, sexual, profane or off-topic reviews; they simply aren't allowed. Do read the comment posting policy. It's pretty concise and talks about all the things you should consider when posting a review to the public. 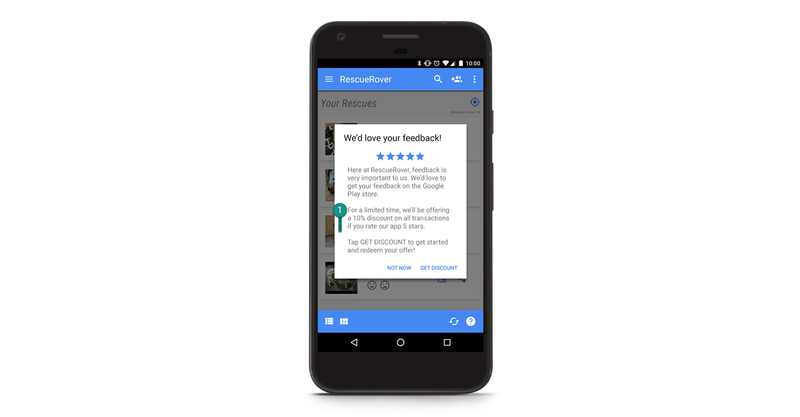 Finally, if you find bad ratings and reviews on Google Play, help us improve by sending your feedback! 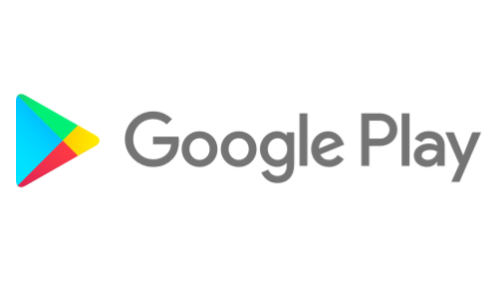 Users can mark the review as "Spam" and developers can submit feedback through the Play Console. Tooltip to flag the review as Spam. Thanks for helping us keep Google Play a safe and trusted place to discover some of the world's best apps and games. The Android developer ecosystem is made up of exceptional individuals with different backgrounds, interests, and dreams. To celebrate the people who make up our community, starting today, and over the coming months, we'll be meeting with developers, founders, product managers, designers, and others from around the world to hear more about their passions and discover what they do when they step away from their computers. Watch stories featuring adventurer Niek Bokkers from Polarsteps (Netherlands), artist Faith Ringgold from Quiltuduko (USA) and chair restorer Hans Jørgen Wiberg from Be My Eyes (Denmark). 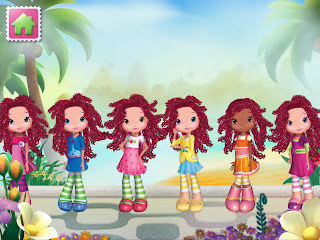 You can also read more about them and their apps on g.co/play/imakeapps. We'd love to hear from you too. 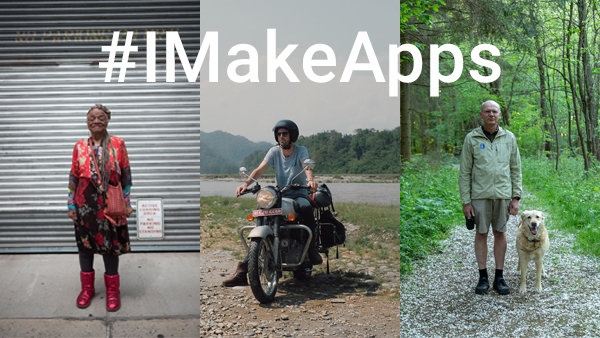 Use the hashtag #IMakeApps on your social channels, sharing the app or game you work on, your role in its creation, and an image that best depicts who you are outside of work. We will regularly select and share some of our favorites on our channels. If you also want to get featured in an upcoming #IMakeApps film, tell us more about yourself and your app or game, by completing this self-nomination form. Stay tuned for more #IMakeApps stories by following us on Twitter, YouTube and LinkedIn. Get the latest Playbook app for developers to learn about features, best practices, and strategies to succeed on Google Play. 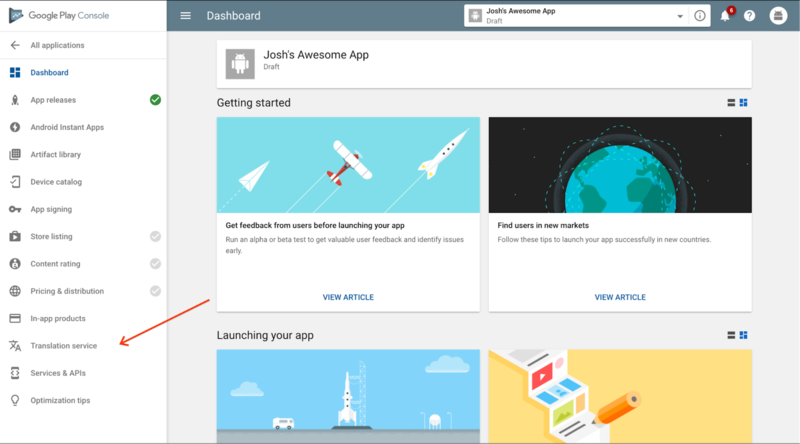 Discover insights from Google to help you develop and launch your app, engage and grow your audience, and earn more revenue. With localized content, the Playbook app for developers is available in 14 languages (English, Bahasa Indonesia, Deutsch, español (Latinoamérica), le français, português do Brasil, ภาษาไทย, tiếng Việt, Türk, русский язы́к, 한국어, 中文 (简体), 中文 (繁體), and 日本語). Thank you to all the beta testers who provided valuable feedback (keep it coming!). With the latest update, we have simplified the user experience, improved content discovery, and automated notifications for different types of content (which are customizable) to help you stay up to date, among other improvements. You can also add tags to the home screen based on your interests to easily see posts and videos that are relevant to you. 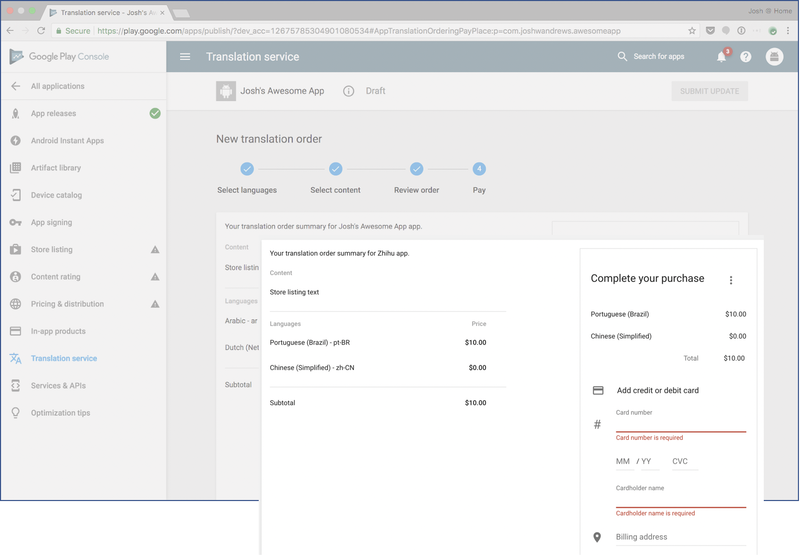 Follow the onboarding and sign in with your Google account. Read the latest posts on the home screen and add tags from the settings screen which match your interests.. 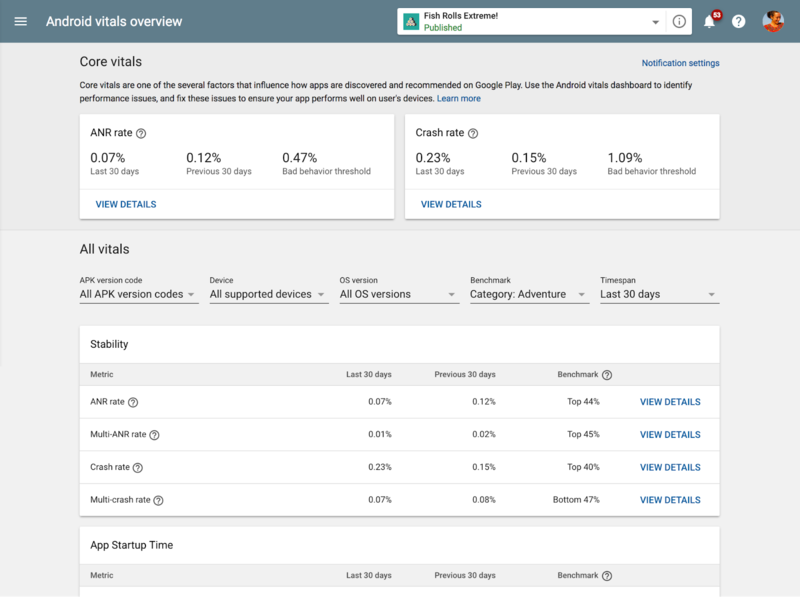 Explore in-depth best practices written by Google in our guide, and see the top articles for grouped by your objectives: develop, launch, engage, grow, and earn. Discover the latest posts and videos from Google and experts across the industry and filter by interest tags. Save content so you can view posts and videos on your home screen and access relevant content more quickly. The Middle East and North Africa (MENA) region is a fast growing market for app and game developers on Google Play, and localizing is crucial to making the most of the opportunity. For example, the main grossing apps & games in Saudi Arabia have localized their store listings and their actual app and game on Google Play. The British team behind the Skyscanner travel app had already localised it into more than 15 languages, yet the launch in Arabic was a huge milestone for them. 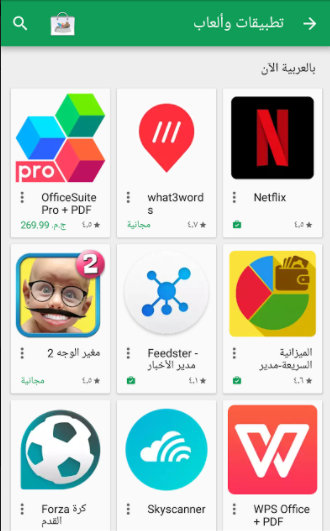 Arabic speaking users really appreciated the localization and the app's average user rating increased from 4.62☆ to 4.77☆ after localization. Users engaged with the app longer, with an increase of 30% in their average session duration. 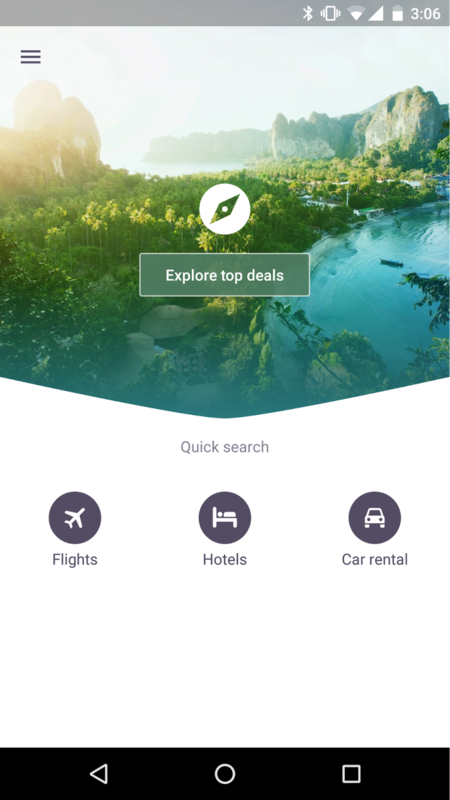 Additionally 50% more travellers have been redirected to Skyscanner partners to book flight, hotel and car hire deals. But how difficult is it to correctly localize your app or game to Arabic? The team at Skyscanner managed to develop Right-To-Left (RTL) Arabic language support within the app in two weeks: "Our initial fear was that we would need lots of manual coding for the layouts. However, the Android layout system handled all of the cases really well. 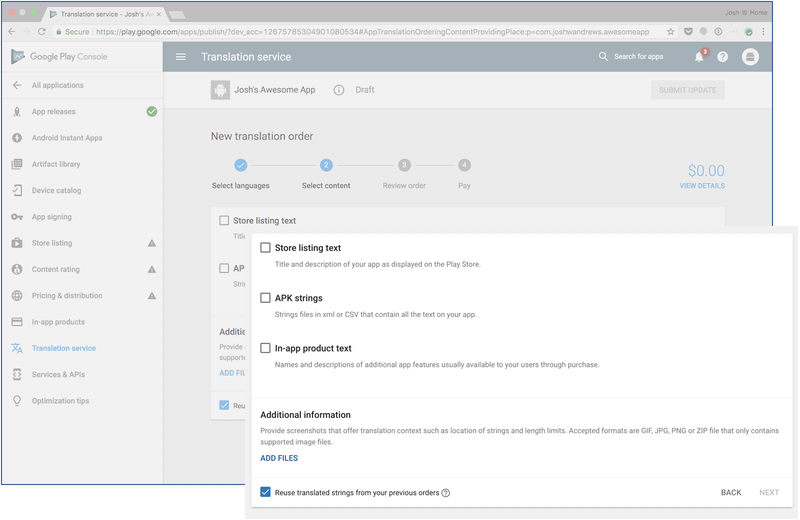 We were already using *Start and *End margin and padding in line with guidelines, but there's also Android Studio support and Lint check to fix any issues automatically." says Mate Herber, Software Engineer. Many other top apps and games developers are successfully investing in localizing for MENA users. 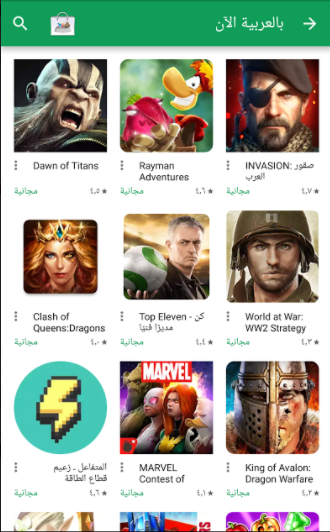 For example, when game developer Pocket Gems localized War Dragons, the installs by Arabic speaking users tripled. Their percentage of revenue from Arabic language players also went from effectively 0% to ~1.5%. We just refreshed the Now in Arabic collection (MENA only) with 16 newly localized apps and games, including titles like Netflix, Periscope and Transformers. It will be live until May 11 on Google Play in the following countries: Algeria, Bahrain, Egypt, Jordan, Kuwait, Lebanon, Morocco, Oman, Qatar, Saudi Arabia, Tunisia and United Arab Emirates. 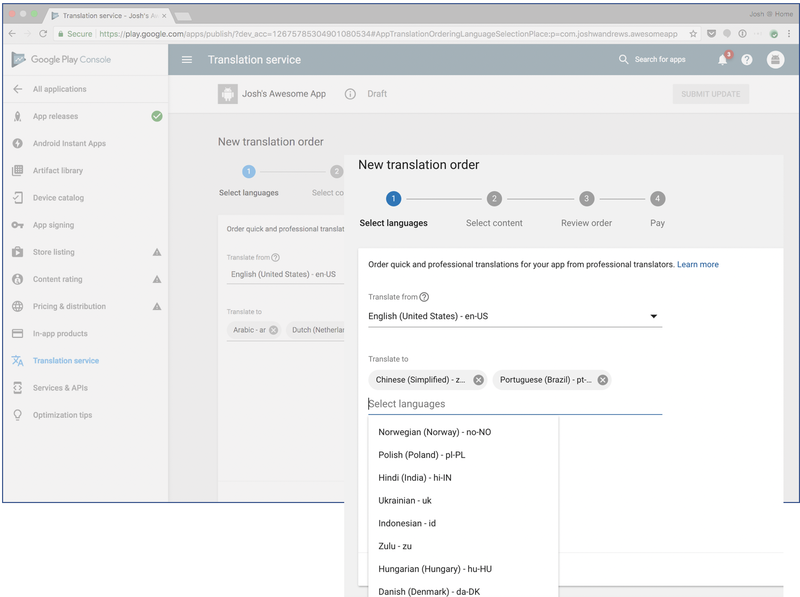 Check our Localization Checklist for best practices when localizing for any language, and our Going Global Playbook. When your app or game in Arabic is ready, you can self-nominate to be part of future refreshes of the Now in Arabic collection by filling in this form. Robinhood allows users to buy and sell stocks commission-free* in the US. It is designed to make financial investment easy for all users, even if you’ve never traded before. With a team of two Android developers, the company has relied on fast tools like Android Studio to build rich new features, which have helped make Robinhood the highest-rated stock brokerage app on Google Play. 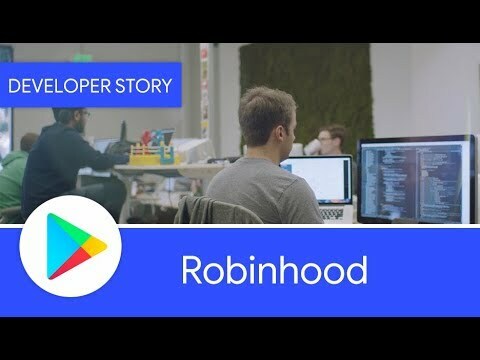 Watch Robinhood's Joe Binney, VP of Product Engineering, and Dan Hill, Android Developer, talk about how Android Studio is helping them achieve strong growth on Android. 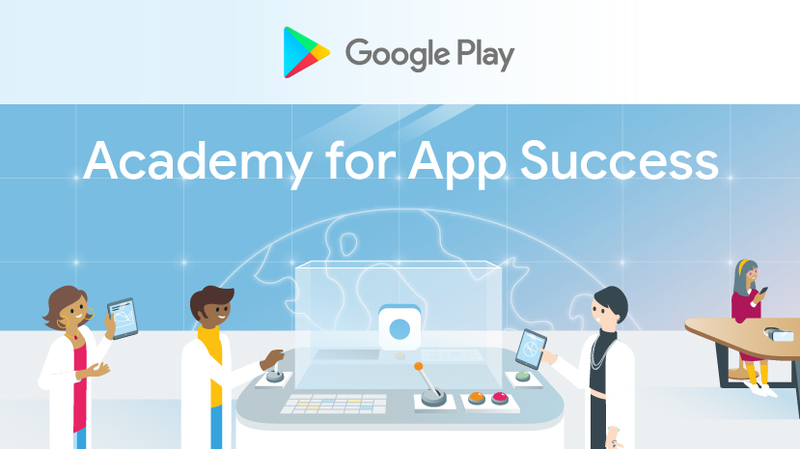 The top Android developers use Android Studio to build powerful and successful apps on Google Play; learn more about the official IDE for Android app development and get started for yourself. Get more tips and watch other success stories in the Playbook for Developers app. *Free trading refers to $0 commissions for Robinhood Financial self-directed individual cash or margin brokerage accounts that trade U.S. listed securities via mobile devices. SEC & FINRA regulatory fees may apply. Mobile gaming is a fun place to be right now. It's a landscape seeing tremendous success year after year with great potential for additional growth and innovation. It's also a space where developers can express themselves with creative game styles, mechanics, design and more. This is what the indie community does best. Here are 5 tips for indies by indies, shared by our gaming partners at 505 Games, About Fun, Disruptor Beam, Klei Entertainment, and Schell Games. Indies are inherently smaller operations and should embrace their agility and ability to take risks. Petr Vodak, CEO at About Fun, recommends getting your product out there so you can start taking feedback and apply your learnings to future projects. Don't be afraid to fail! Remaining flexible and building in modularity so you can evolve with the business needs is a strategy embraced by Pete Arden, CMO at Disruptor Beam. For instance, with their game Star Trek Timelines, the initial user experience was tailored to avid Star Trek fans. Over time, as user acquisition costs increased, they've changed the new player experience to appeal to their evolving user base of gamers looking for a fun entertainment experience and less the specific Star Trek IP. To help stand out in the ultra competitive mobile space, Jesse Schell, CEO of Schell Games, recommends doing something clever or very different. This strategy has led them to explore the growth areas of new platforms such as AR & VR. While new platforms present a field for opportunity and creativity, they're best to be approached with the long term in mind allowing you to sustain the business until critical mass is reached. There are many ways to build communities. If you have an existing fan base on other platforms, cross-promote to drive awareness of your mobile offerings. You can also look at porting titles over, but be aware of the differences in mobile gaming habits and ensure you adapt your game accordingly. Both 505 Games and Klei Entertainment recommend running your premium titles as a service. Through monitoring user reviews you can gain invaluable feedback and trends helping you better understand user pain points and desires. In addition, by releasing regular content updates and in-game events you create reason for users to get back in the game. This not only drives reengagement, but 505 Games also sees strong spikes in new installs aligned with major game updates. Similar strategy to above, dropping regular content refreshes and game updates while offering a variety of monetization options gives users more ways to engage with your game. Keeping your games fresh gives users reason to come back and builds loyalty so you can cross-promote to your users with future game launches. If you're looking for a fun new game to play, check out the great selection on Indie Corner on Google Play. And if you're working on a new indie game of your own, nominate your title for inclusion. 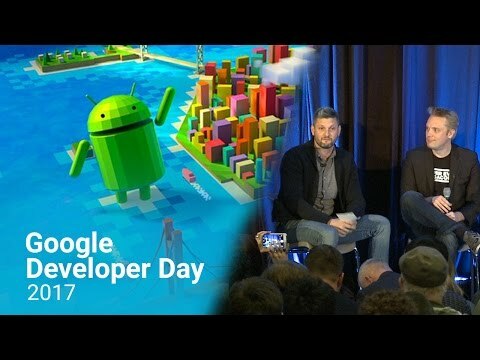 Watch more sessions from Google Developer Day at GDC17 on the Android Developers YouTube channel to learn tips for success. 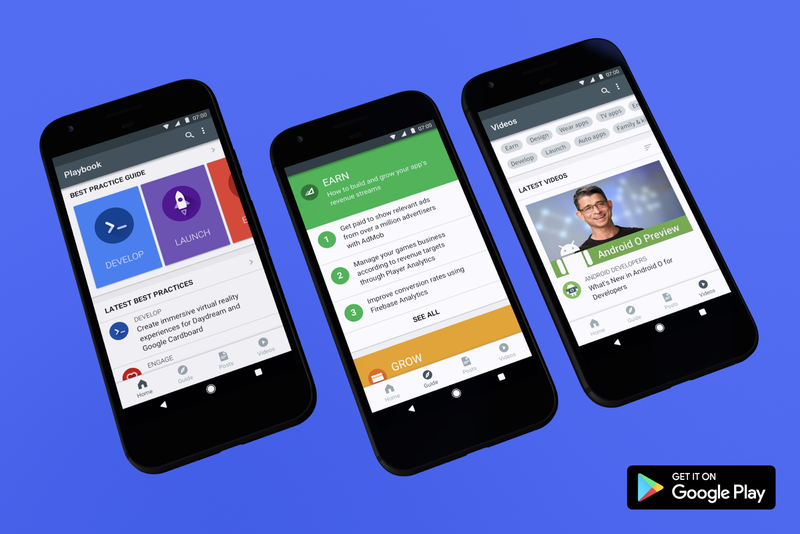 Visit the Android Developers website to stay up-to-date with features and best practices that will help you grow a successful business on Google Play. The most successful games usually have the strongest communities. They are a powerful force in driving additional engagement and increasing awareness for your titles. At GDC 2017, we spoke with a few game developers about best practices for successfully building their own communities. Watch the panel session below to hear advice from Seriously, Social Point, and Super Evil MegaCorp. Community is a mindset; be honest, transparent & patient with your communications. Loyal users are extremely valuable, thus the folks at Super Evil Megacorp say that you should act like you have to earn every player. Build a plan and start today. Launch your social media channels, look into influencers, and create a strategy. 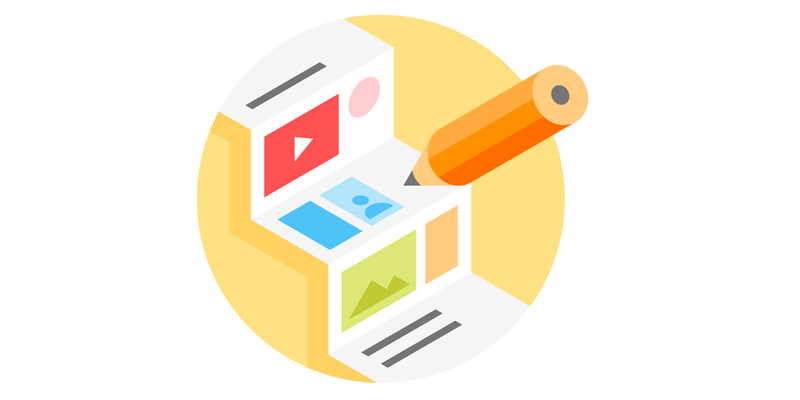 Whether it's sharing one piece of fan art a week across your network, or running a closed beta to gather feedback from your most valued users, take action and learn what works best for you and your users. When finding influencers to support your game, ensure they're a genuine match. Make sure the influencer's audience is a good fit with your game and existing community. Communities are passionate. Use feedback to understand what kind of game and features your users want. Be flexible and iterative so you can react and evolve your game with the needs and desires of your community. However, don't be afraid to stay true to what you stand for as sometimes you'll need to agree to disagree with some players. The lifespan of games is continuing to grow. Plan your business strategy, update cycles and community efforts to roll out over time and expand with your growing experiences and user-base. 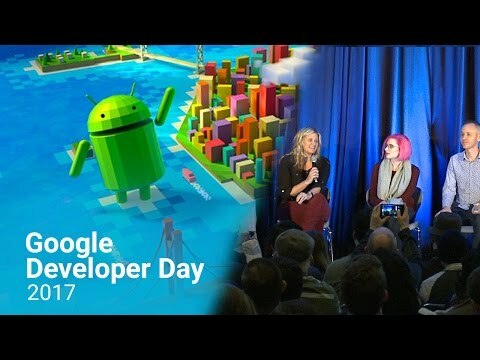 Watch more sessions from Google Developer Day at GDC17 on the Android Developers YT channel to learn tips for success. Also, visit the Android Developers website to stay up-to-date with features and best practices that will help you grow a successful business on Google Play. Last month at the Game Developers Conference (GDC), we held a developer panel focused on sharing best practices for building successful app and game businesses. Check out 5 tips for developers, both large and small, as shared by our gaming partners at Electronic Arts (EA), Hutch Games, Nix Hydra, Space Ape Games and Omnidrone. The best time to test, is before you launch; so test boldly and test a lot! Nix Hydra recommends testing creative, including art style and messaging, as well as gameplay mechanics, onboarding flows and anything else you're not sure about. Gathering feedback from real users in advance of launching can highlight what's working and what can be improved to ensure your game's in the best shape possible at launch. Run experiments on all of your store listing page assets. 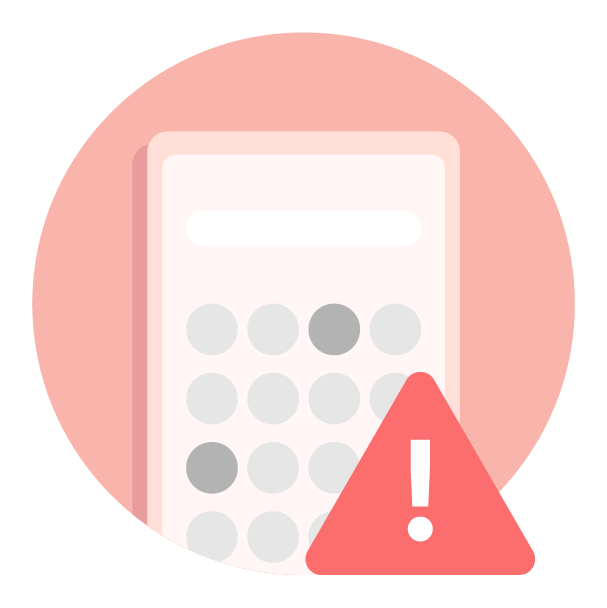 Taking bold risks instead of making assumptions allows you to see the impact of different variables with your actual user base on Google Play. Test in different regions to ensure your store listing page is optimized for each major market, as they often perform differently. Space Ape Games recently used Early Access to test different onboarding experiences and gameplay control methods in their game. Finding the right combination led them to double-digit growth in D1 retention. Gathering these results in advance of launch helped the team fine tune and polish the game, minimizing risk before releasing to the masses. "Early Access is cool because you can ask the big questions and get real answers from real players," Joe Raeburn, Founding Product Guy at Space Ape Games. Watch the Android Developer Story below to hear how Omnidrone benefits from Early Access using strong user feedback to improve retention, engagement and monetization in their game. Mobile game developer Omnidrone benefits from Early Access. Electronic Arts has run more than 5 pre-registration campaigns on Google Play. Pre-registration allows them to start marketing and build awareness for titles with a clear call-to-action before launch. This gives them a running start on launch day having built a group of users to activate upon the game's release resulting in a jump in D1 installs. All partners strongly recommended seeking feedback early and often. Feedback tells both sides of the story, by pointing out what's broken as well as what you're doing right. 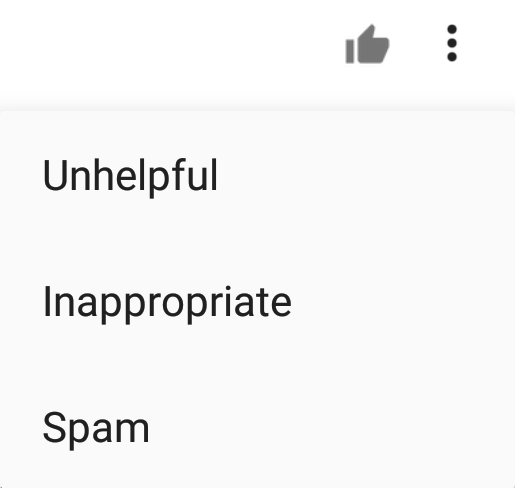 Find the right time and channels to request feedback, whether they be in-game, social, email, or even through reading and responding to reviews within the Google Play store. If you're a startup who has an upcoming launch on Google Play or has launched an app or game recently and you're interested in opportunities like Early Access and pre-registration, get in touch with us so we can work with you. 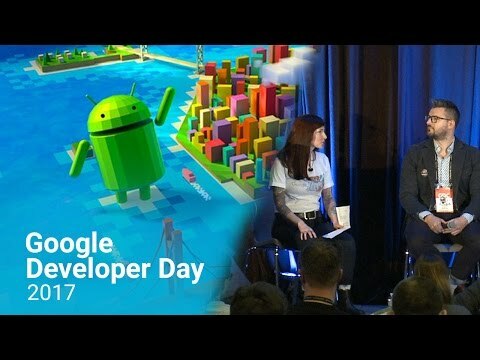 Watch sessions from Google Developer Day at GDC17 on the Android Developers YT channel to learn tips for success. 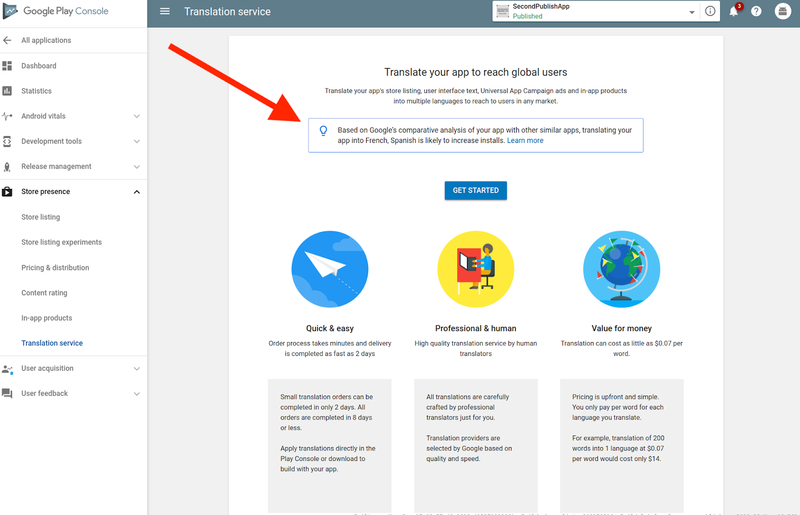 Also, visit the Android Developers website to stay up-to-date with features and best practices that will help you grow a successful business on Google Play.